12' SLIDE. CLIMB UP THE BACK AND SLIDE DOWN THIS COOL AND FAST WATER SLIDE. THIS SLIDE IS DURABLE! IT CAN GO BE PLACED ON GRAVEL, ROCKS, CONCRETE OR GRASS! 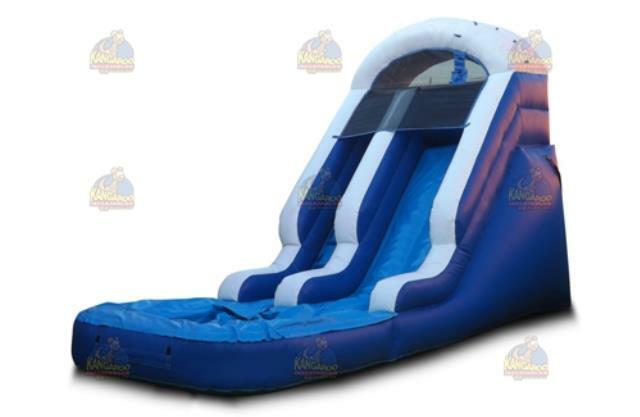 * Please call us with any questions about our water slide 12 foot blue rentals in Sedona, Cottonwood, Camp Verde, Prescott Valley, Chino Valley and surrounding metro areas.